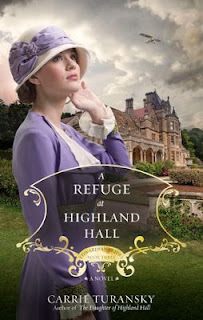 In this third and final book in the Edwardian Brides Series, you'll be swept away to England and France in 1915 as the Ramsey family and their staff and friends face the dramatic challenges and losses of World War One, yet they also experience the hope and triumph that comes as they put their trust in God to carry them through. Penny Ramsey helps the family welcome a group of orphaned children to Highland Hall, but she soon discovers caring for them is more difficult than she'd expected. She writes to Alex Goodwin, a daring British pilot, who chases German zeppelins across the sky over the Front Line in France, and longs for the day she will see him again. You'll be delighted by two pure and heartwarming romances: Penny and Alex, and Lydia Chambers and Marius Ritter, a lady's maid and a prisoner of war. Buy the book HERE. CARRIE TURANSKY is an award-winning author of more than a dozen novels and novellas. She has been the winner of the ACFW Carol Award, the Crystal Globe Award, and the International Digital Award, and a finalist for the Inspirational Readers Choice Award and the ACFW Carol Awards and Genesis Contest. 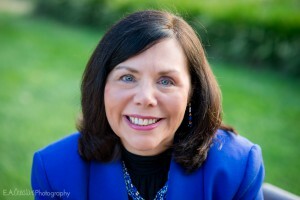 She has written contemporary and historical romances, women's fiction, short stories, articles, and devotionals. She lives in New Jersey with her husband, Scott, and they have five adult children and four grandchildren. Learn more about Carrie on her Website HERE.